Academic study is important and we expect all our pupils to adopt a healthy work ethic and achieve high standards but we believe to truly educate one must celebrate the creative, the physical and the spiritual as much as the intellectual. Our overwhelming experience is that those children who derive pleasure and enjoyment from a wide range of activities outside of the classroom are those who go on to perform exceptionally well in their academic work. 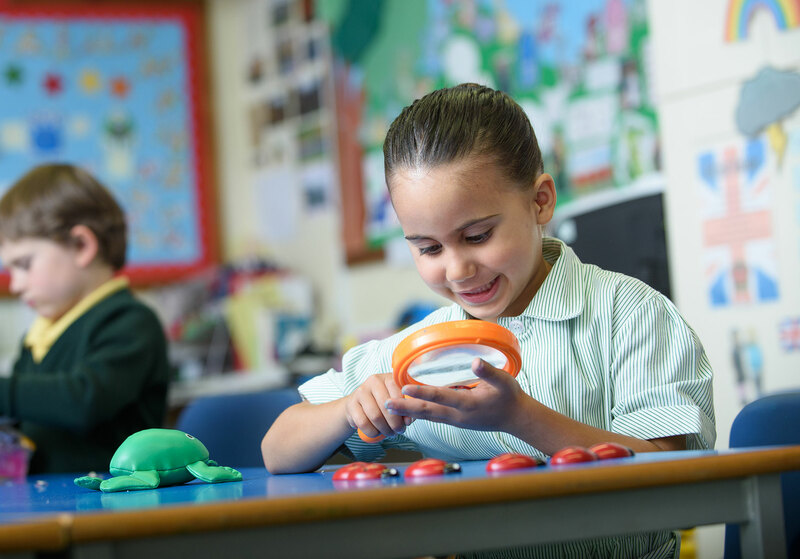 Whilst our children may perceive they have options, in reality they are obliged to wholeheartedly engage in the multitude of opportunities the school will present before them. Character at The Downs is shaped over time by a strong set of traditional values and expectations. Constantly mindful of these, we nurture happy, civilised, accomplished young adults who go on to make a telling contribution towards their future communities. Childhood is cherished. Our young children are encouraged to be imaginative in their learning and playing and every opportunity is taken to make the most of our wonderful park and woodland. They wear wellies, climb trees and make dens. They make elaborate daisy-chains, delight in playing conkers and relish bush-craft cooking. The sophisticated world of mobile devices and adolescence remains at the front entrance for later life. Within this healthy, happy and wholesome environment we seek to nurture unaffected good manners, we embrace grace and humility, and we applaud the qualities of friendship, excellence and respect. We encourage and have high regard for individuality, we endorse aspiration and we celebrate success. Quality of character is considered as equally important as achievement. Simply put we wish to nurture decent human beings who enjoy their precious childhood in a safe and beautiful rural environment, slightly removed from the pressure and clamour of modern youth. It’s a breath of fresh air - our children always want to come to school! It’s a place of happiness and laughter, of opportunity and aspiration. 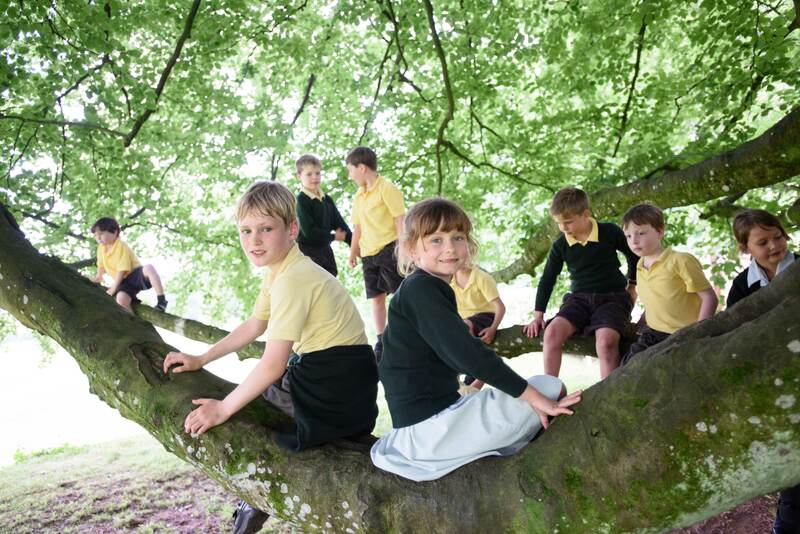 Our children experience a diverse range of experiences that forge self-esteem and confidence in a stunning parkland environment unrivalled in the Bristol area. They are challenged in all aspects but they are simultaneously carefully nurtured, with their wellbeing central to our thoughts. Ultimately they leave kind, caring young people entirely ready to embrace and contribute wholeheartedly to their new communities. The Downs School was founded in 1894 in a house overlooking the extensive parklands of Bristol, known as The Downs. In 1927 it was relocated, according to Mr Wilfred Harrison, the Headmaster at the time, to get away from the ‘incessant roar of traffic’ and the ‘nerve-racking turmoil of the city’. It was moved across the Clifton Suspension Bridge to Charlton House on the Tyntesfield Estate. In the autumn of 2002, the school and parklands was bought from the estate of Lord Wraxall for the Downs School’s Charitable Trust. Today, at the end of a long meandering drive, away from the frantic turmoil of urban life, 282 children excel in the beautiful estate of The Downs School. In recent years there has been impressive investment in our built environment and the school now enjoys extensive facilities. I am often asked what distinguishes The Downs from other schools. As do a minority of others, we enjoy an outstanding ISI Inspection Report, but this does not necessarily highlight how the school might differ from others. Most obviously we enjoy a wonderful setting: 70 acres of stunning parkland and woodland. Not enough to simply admire its glory, continually we use this glorious landscape to enhance the children’s development; in their learning by perhaps attending lessons in our Tree House Classroom (The Wizard’s Hut) or Forest School, in their play by climbing trees and making dens and in their sports - everything is on site. The estate is then a wonderful landscape and an outstanding resource, it is well used and our children’s wellbeing benefits from fresh air and rural space. Put very simply our children are extremely happy; they hugely enjoy school. They are undoubtedly challenged - in all areas - and importantly they experience disappointment. In doing so we seek to develop resilience, perseverance and courage, traits of fortitude that will serve them well in later life. In doing so vitally we also provide exceptional pastoral care, a integrated network of ‘TLC’ that the children can rely on when the going gets a little tough. Indeed,the relationship between the children and staff is one of genuine, unusual warmth and care. Children find recognition in a host of different ways. Pursuing an interest offers satisfaction in itself but by pushing for the highest standards children find fulfilment and confidence that readily translates into school life. Many schools boast an all round education but very few provide the range and depth of opportunities our children are fortunate to enjoy. They are young and we guard against them becoming specialists, this is perhaps the prerogative of senior schools. 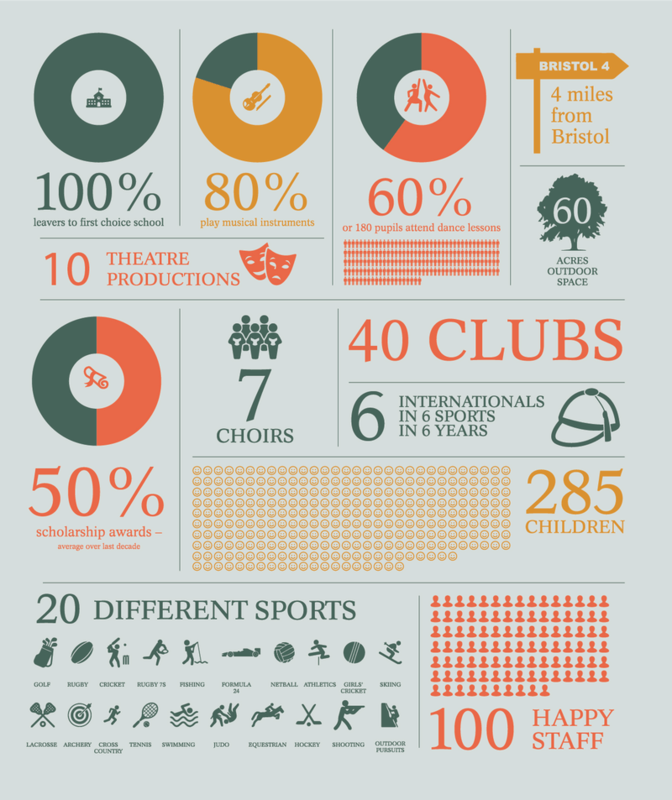 Rather we cajole children into choirs, theatre productions, clubs and teams. Within this environment of diverse opportunities our children become confident, self-assured, rounded individuals who value the difference of others. And then there is the ‘big fish in a small bowl’ factor: Years 7 and 8 are excellent reasons why pupils should attend The Downs. It is these two year groups, a tender time in the physiological development of young people, our pupils are the ‘biggest fish’ in the pond, top of the pile, albeit small. The self-esteem and confidence they develop from this experience is tangible and unique in the local market. Each pupil experiences considerable responsibility, increasing independence and subtle privilege that inevitably informs the development of their character. It can also be argued that serious external examinations at 13+ serve to focus the mind well before GCSE. A small school, a close and happy community, the class sizes are small, ideally a maximum of 18. In such groups children cannot hide, in such groups teachers know the strengths and weaknesses of all their students, in such groups individuals thrive. Finally ‘Why The Downs’? Because we nurture happy children of natural grace and unaffected manner. Achievement is always applauded quietly within the community but quality of character is equally celebrated. We expect our children to behave with a sense of decency by which they demonstrate care, kindness and respect. 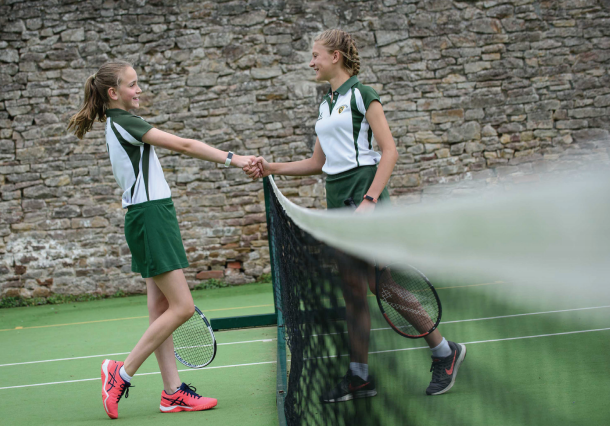 We expect our children to conduct themselves civilly and comfortably in any social setting, indeed we are very proud of our ‘Charltonians’ that leave us at 13 to attend prestigious schools all over the South of England - and we are delighted that they return to see us so often. Six good reasons why children should attend The Downs. There is no priority and there are numerous others - our independence, the high standards, the food alone is legendary! We are very fortunate to enjoy an unusually close community that wholeheartedly buys into the values of the school and this makes for a very happy school. The best way to test my assessment is by visiting - you’re very welcome!  The Downs School was founded in 1894 in a house overlooking the extensive parklands of Bristol, known as The Downs. In 1927 it was relocated, according to Mr Wilfred Harrison the Headmaster of the time, to get away from the ‘incessant roar of traffic’ and the ‘nerve-racking turmoil of the city’. It was moved across the Clifton Suspension Bridge to Charlton House on the Tyntesfield Estate. In the autumn of 2002, the school and parklands was bought from the estate of Lord Wraxall for the Downs School’s Charitable Trust. Today, at the end of a long meandering drive, away from the frantic turmoil of urban life, approximately two hundred and eighty children excel in the beautiful estate of The Downs School. In recent years there has been impressive investment in our built environment and the school now enjoys extensive facilities. Most obviously we enjoy a wonderful setting: 70 acres of stunning parkland and woodland. Not enough to simply admire it’s glory, continually we use this glorious landscape to enhance the children’s development; in their learning by perhaps attending lessons in our Tree House Classroom (The Wizard’s Hut) or Forest School, in their play by climbing trees and making dens and in their sports - everything is on site. The estate is then a wonderful landscape and an outstanding resource, it is well used and our children’s wellbeing benefits from fresh air and rural space. Put very simply our children are extremely happy; they hugely enjoy school. They are undoubtedly challenged - in all areas - and importantly they experience disappointment. In doing so we seek to develop resilience,perseverance and courage, traits of fortitude that will serve them well in later life. In doing so vitally we also provide exceptional pastoral care, a integrate network of ‘tlc’ that the children can rely on when the going gets a little tough. Indeed the relationship between the children and staff is one of genuine, unusual warmth and care. Children find recognition in a host of different ways. 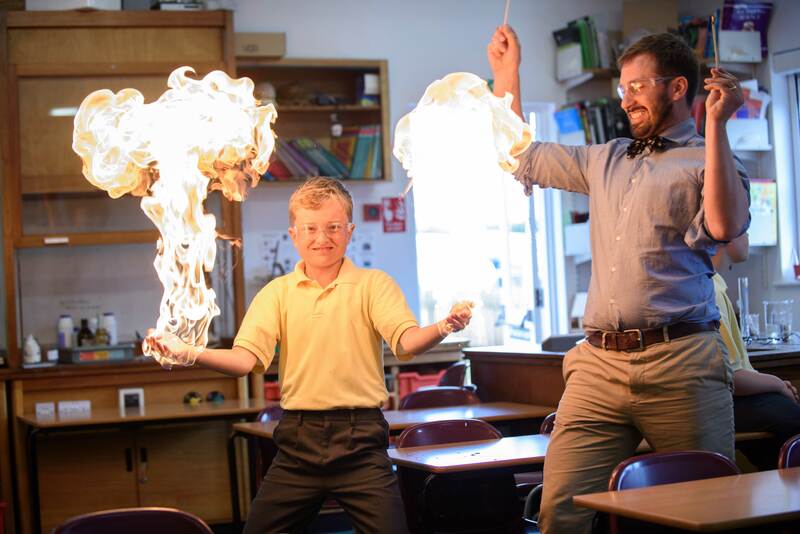 Pursuing an interest offers satisfaction in itself but by pushing for the highest standards children find fulfillment and confidence that readily translates into school life. Many schools boast an all round education but very few provide the range,the depth of opportunities our children are fortunate to enjoy. They are young and we guard against them becoming specialists, this is perhaps the prerogative of senior schools. Rather we cajole children into choirs, theatre productions,club and teams. Within this environment of diverse opportunities our children become confident, self-assured, rounded individuals who value the difference of others. And then there is the ‘big fish in a small bowl’ factor: Years 7 and 8 are excellent reasons why pupils should attend The Downs. It is these two year groups, a tender time in the physiological development of young people,our pupils are the ‘biggest fish’ in the pond, top of the pile, albeit small. The self- esteem and confidence they develop from this experience is tangible and unique in the local market.Each pupil experiences considerable responsibility, increasing independence and subtle privilege that inevitably informs the development of their character. It can also be argued that serious external examinations at 13+ serve to focus the mind well before GCSE. Finally ‘Why The Downs’? Because we nurture happy children of natural grace and unaffected manner. Achievement is always applauded quietly within the community but quality of character is equally celebrated. We expect our children to behave with a sense of decency by which they demonstrate care,kindness and respect. 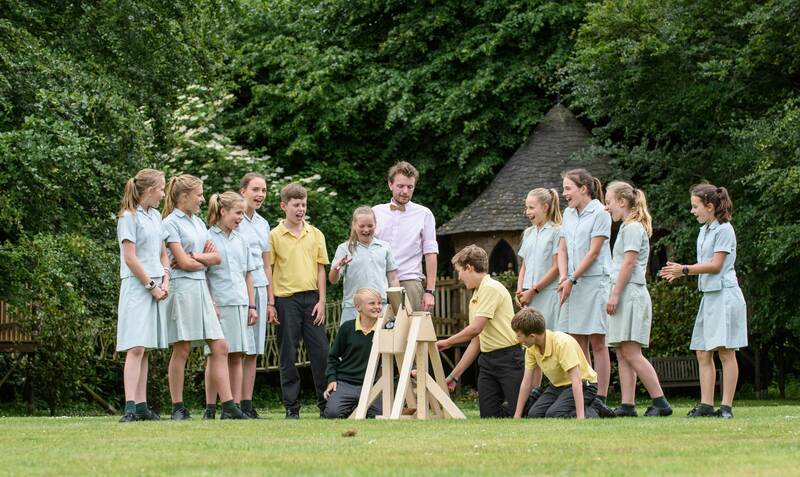 We expect our children to conduct themselves civilly and comfortably in any social setting, indeed we are very proud of our ‘Charltonian’ that leave us at 13 to attend prestigious schools all over the South of England - and we are delighted that they return to see us so often. Six good reasons why children should attend The Downs. There is no priority and there are numerous others - our independence, the high standards, the food alone is legendary! We are very fortunate to enjoy an unusually close community that wholeheartedly buys into the values of the school and this makes for a very happy school. The best way to test my assessment is by visiting - you’re very welcome. In 1927 it was relocated, according to the Headmaster of the time, Wilfred Harrison, to get away from the "incessant roar of traffc" and the "nerve-racking turmoil of the city". It was moved across the Clifton Suspension Bridge to Charlton House on the Tyntesfeld Estate. In the autumn of 2002, the school and parklands was bought from the estate of Lord Wraxall for The Downs School Trust. The oldest part of Charlton House is the East Wing which is Tudor and probably built during the reign of Henry VIII ( 1509-1547 ) There remain two arched windows, now internal, from this period. The front hall is Jacobean (James I 1603 – 1625) but it was completely restored in 1883. The wonderful fireplace, ‘crude but spirited’, erected by Sir Edward Gorges in 1624 remains. It bears the arms of Gorges impaling Speke, fittingly the figures in the upper part representing Justice and Mercy. will light their passion and ignite self-confdence. entirely compliant with the regulatory requirements. The following policies are available to view online and download in PDF format.